– How are things with you? – I’m really glad to hear about…. 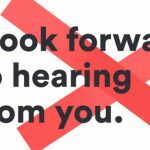 – I’m very sorry to hear about….